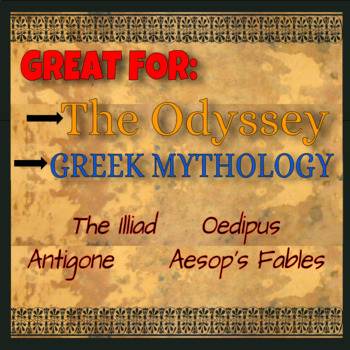 Need a break from analysis and rigorous contextual exercises? 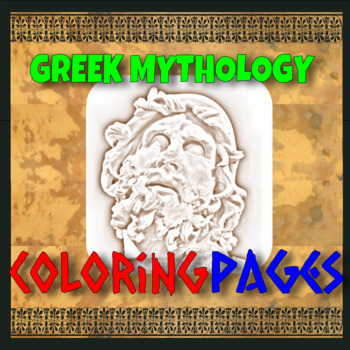 These coloring pages are designed with the ancient sculptures of the figures of Greek Mythology. Drawing is a great time to ruminate on the deeper ideas students are studying. Personally, I created these because my wife's just endlessly coloring when she comes home from work. It's how she winds down almost every night. Then, at school the kids are always doodling all over their papers. So, while not a skill on any standardized test, I think these may be of use to someone out there. Each is a full page, 8.5"x11" and includes the name of the personage on the page. They are included as PDFs and Word documents. 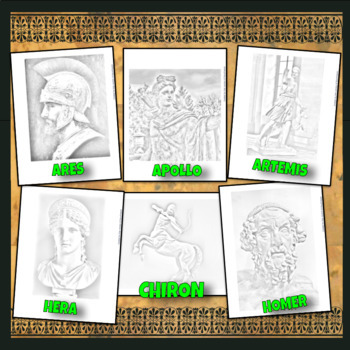 Because of this, they are also personalizable, adaptable--- you could even do them digitally-- load the photo into paint, and then paint over the image. (But I'd just suggest printing them out, it's faster.